It’s no secret that the trend of adapting books, short stories, and other published material to the big screen is on the rise in Hollywood. Literature has always been one of the first sources for the film industry to draw on for inspiration, but why the sudden influx of material going from novel to theater? But lately, it seems that this trend is going a bit too far; studios are milking a single book or series into sequels without end, and the search for new source material becomes a desperate war for intellectual rights. Audiences long for a breath of fresh air and a sense originality, but studios don’t want to sacrifice the safety of an established source. This conundrum will continue to haunt filmmakers for decades to come, and studios will have to walk that razor-fine line to achieve a balance of fresh yet established material. 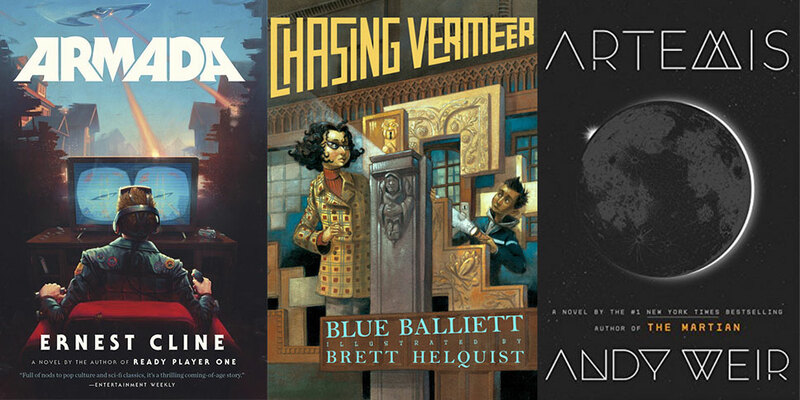 In the meantime, we’ve compiled this list of seven of our favorite, less-known books that would actually make unique, entertaining films. Synopsis: The Year is 1919, and Rachel Sheridan and her parents are missionaries among the Kikuyu and Maasai tribes in East Africa; when both of her parents are taken by an influenza outbreak, Rachel’s once-peaceful life spirals into a tangle of manipulation and deception as her malevolent caretakers ship her to England and force her to participate in a criminal scheme. The novel follows her gritty journey to discover her inner strength, to stand up for the truth, and ultimately to fight her way back to the place she belongs. Shockingly, there has never been any kind of film adaptation of this book, nor is there any rumor of any adaptation in the near future. 2018 is the optimal time for Listening for Lions to be adapted for the screen. It has a strong female lead, but our main character is exploring themes of loyalty, truth, and belonging, while learning to fend for herself. As an story set in Africa about Christian missionaries, it also offers an important perspective on different cultures and belief systems. 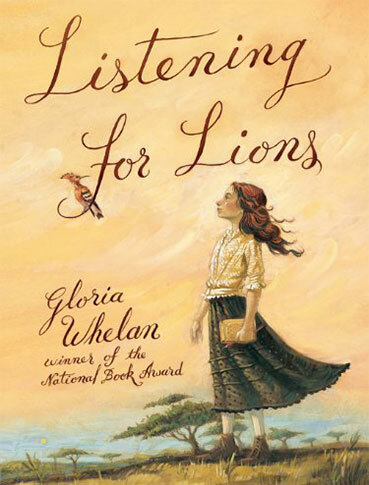 Listening for Lions is an uplifting story about female empowerment that you won’t feel has already been done hundreds of times before. Synopsis: Set in Capernaum in the first-century, this gripping thriller centers around the conflict between the Romans and the Israelites during the Roman occupation, as told from the perspective of an 18-year-old zealot named Daniel. Daniel is bent on bringing down the Roman empire at all costs, and the action-packed plot follows his dangerous military preparations to launch an attack on the Romans; then, he has an encounter with a carpenter’s son from Nazareth, and realizes that he needs to decide whether this war will truly bring him peace – as his need for revenge threatens to destroy him and everyone he loves. Although this book is slightly more obscure and lacks the broad following a studio producer looks for, as far as quality goes, this book is unsurpassed. It won the Newbery Medal in 1962, and has gone on to win several other minor awards as well. This book isn’t a preachy Christian history lesson; it’s a war story. It shows an accurate representation of what it was like to live in Roman-occupied Galilee, with all of the bitterness, violence, suspense, loss, and betrayal, but also shows a glimpse into the hope, love, camaraderie, and redemption that took place in daily life of both the Romans and the Galileans. This is a story that has the potential to be not only a great Christian film, but a great film in general. Synopsis: This epic fantasy series follows a young farm boy named Taran who dreams of being a hero. Taran longs for glory and is eager to prove himself in battle, without knowing what it truly means to be a warrior, or the true cost of war. 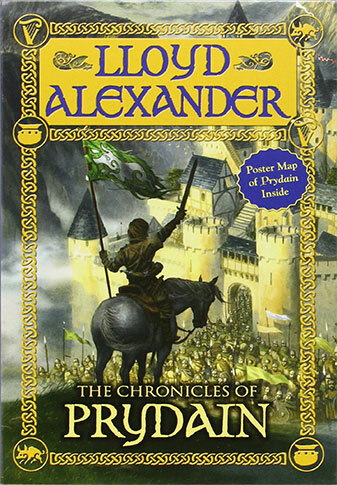 This coming-of-age story follows his many whimsical and perilous adventures as he sets out on a quest not only to save Prydain, but also to find his place in the world as he grows from a boy to a man among the unforgettable and loveable cast of characters. The second book in this series, The Black Cauldron (which earned the Newbery Honor in 1964) was adapted as a Disney animated film in 1985. At that time it was the most expensive animated film ever made, and its failure almost bankrupted Disney animation studios. The hype around the series died, partially due to this disappointing adaptation. In March of 2016, However, Variety reported that Disney re-acquired the rights to this beloved five-book fantasy series. This time, they plan to make a live-action version, and to bring all five books to life instead of just one. It’s high time this series received a good adaptation: It is hailed as the first true high fantasy series to be published by an American, set opposite the British Tolkien’s The Lord of the Rings, or Lewis’ Chronicles of Narnia. In 1969, the series’ final installment, The High King, won the Newbery Medal. It continually maintains its status as an entertaining book regardless of the age group of the reader, promising to be a film that will appeal to all different age groups and walks of life. Synopsis: Petra and Calder are two ordinary sixth-grade students who are both social outcasts due to their keen observational skills and love of patterns, language and art. They are brought together by stumbling upon clues related to a the theft of a famous Vermeer painting; as they get more deeply entangled in the international investigation, it becomes clear that this isn’t a game. They must learn the importance of trust, embracing their differences, friendship, and resourcefulness if they hope to solve the case the FBI couldn’t – and live to tell the tale. 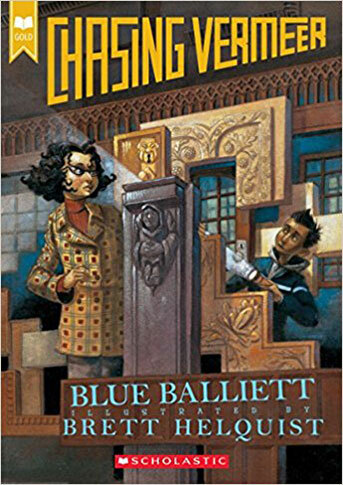 This book has often been described as “The DaVinci Code for tweens.” In 2004, it won the Agatha Award for Best Young Adult Mystery. In an interview with Newsweek in 2008, Balliet stresses that the story of Petra and Calder is meant to celebrate the way that children notice connections in the world around us that grown-ups often miss. It has a plot that is exciting enough to hold the attention of middle-grade readers, but also is intellectual enough to fascinate older readers as well. It holds the perfect balance of art, mathematics, history, and language, all brought together in a spiderweb of the clues Balliet weaves. It is also the first book in a trilogy, which bodes especially well for film investors, as a series often lends itself towards more opportunities for monetization over a longer period of time. In a New York Times article published in 2004, it was announced that Warner Brothers had acquired the rights to the book; but then in the interview with Newsweek, author Blue Balliett mentioned that Brad Pitt’s production company, Plan B Entertainment, had also bought the rights to the books for a film adaptation. However, a search for more recent news on whether the project is still in the works yields little or no results, suggesting that the project is dormant or was abandoned altogether. 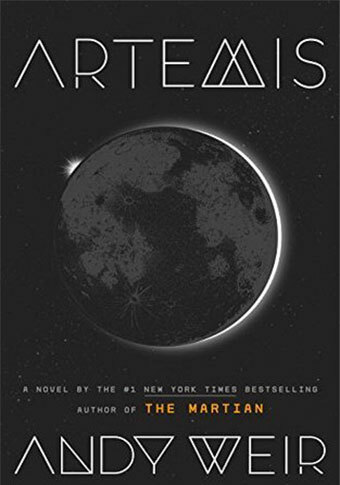 Synopsis: This science-fiction thriller takes place on Artemis, the first and only city on the moon. Artemis is mostly populated by rich tourists, researchers, and billionaires. Our main character, 26-year-old Jazz Bachara, works in Artemis as a porter, but moonlights as a smuggler in order to make ends meet. When she comes across an illegal opportunity with a highly lucrative reward, she can’t turn it down; but pulling off the impossible is just the start of her problems, as she learns that she’s stepped square into a conspiracy for control of Artemis itself—and now, her only chance at survival lies in a gambit even riskier than the first. According to an article by Variety published last May, 20th Century Fox has acquired the rights to make a film adaptation of Artemis, but there are no dates yet in place for the film’s production or release schedule. 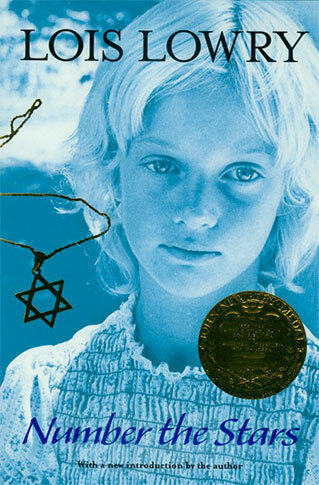 Synopsis: Ten-year-old Annemarie Johansen and her best friend Ellen Rosen often think of life before the war. It’s now 1943 and their life in Copenhagen is filled with school, food shortages, and the Nazi soldiers marching through town. When the Jews of Denmark are “relocated,” Ellen moves in with the Johansens and pretends to be one of the family. Soon Annemarie is asked to go on a dangerous mission to save Ellen’s life. Number the Stars is another story that smashes the preconception that historical fiction is “boring”. On the contrary, this story has suspense, heart, and grit that rivals that of any superhero movie, despite the fact that it was originally written for children. It, too, features strong female role models and the opportunity to open the conversation about friendship, sacrifice, and religious differences. 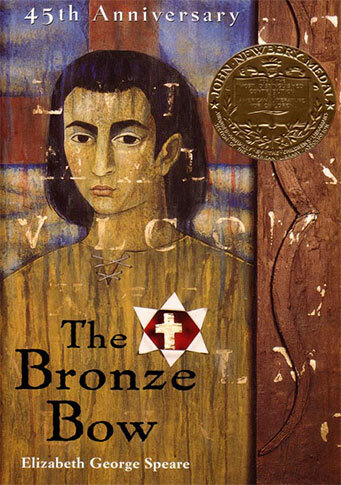 The book won the Newbery Medal in 1990. There have been rumors among the online film community that as of 2017, Hollywood actor Sean Astin (The Goonies, The Lord of the Rings) was interested in producing the film, and was trying to get the project greenlit by a major studio, but there is no further news as to whether his efforts have been successful. Synopsis: Zack Lightman is a high school senior just trying to hold it together during his final semester – when he sees a flying saucer. Even stranger, the alien ship he’s staring at is straight out of the video game he plays every night, a hugely popular online flight simulator called Armada, in which gamers protect the earth from alien invaders. Before he knows what’s going on, Zach is drawn into an intergalactic battle to save the earth from what’s about to befall it, and in the process must make the most difficult decision of his life. Armada is described as a “rollicking, surprising thriller, a classic coming of age adventure, and an alien invasion tale like nothing you’ve ever read before”— and that is an accurate diagnosis. It is even more relatable and easier to read than Cline’s first novel-turned-movie, Ready Player One, but maintains the vibrant reverence for science fiction fandoms and the virtual gaming space. It makes heavy-hitting philosophical arguments about humanity, war, survival, and mercy, while maintaining the breakneck pace of the witty joy ride it whisks readers away on. 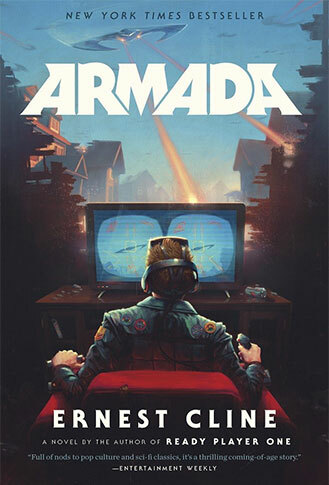 It’s no secret that after the success of Cline’s first novel-turned-movie, Ready Player One, Armada is close behind as a major motion picture. According to Movie Web, Cline actually sold the rights to Universal back in 2012, before the book’s release, and the film is currently in development, with writer Dan Mazeau recently brought on board to write the screenplay. There is no projected release date yet. 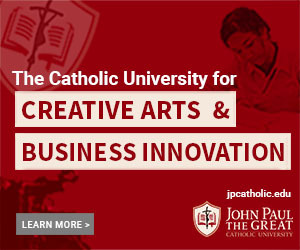 In filmmaking, there is always some aspect of financial risk, even if the film is based off a popular book. Even if the film is successful, audiences who were fond of the book will always clamor that “the book was better.” But with under-appreciated, quality books like these stepping out from the shadows and into the production pipeline, the future for adaptations is bright.